The Japan-ASEAN Integration Fund (JAIF), officially established in early 2006, is a specific funding mechanism developed by the Government of Japan to support the continuous development of the ASEAN Community. Since its establishment, with contributions totaling over 650 million USD, JAIF has strengthened the relationship between Japan and ASEAN across a range of areas. Guided through the implementation of the ASEAN 2025: Forging Ahead Together blueprint, JAIF has funded and supported multiple projects related to disaster management, counter-terrorism, economic integration, youth exchanges and cultural understanding. Based on this shared interest in disaster management, the Government of Japan through JAIF has been an integral partner for the AHA Centre (and by extension disaster management in ASEAN) since the programme’s founding years. This shared interest has been a key platform for a partnership that was forged during the AHA Centre’s early days in 2011, with the Japanese Government’s support (as one of the ASEAN Dialogue Partners) materialising within the AHA Centre-JAIF partnership functions. Support has not only been in financial form, but also through capacity development and knowledge and skills sharing across a range of programmatic functions. Both parties hold extensive and relevant portfolios in disaster management – a reality which allows for mutual benefit within the partnership context. Due to Japan’s close geographic proximity to the ASEAN region, both parties are explicitly intertwined, with much to gain from a close and strong relationship. The Government of Japan and ASEAN use this context to increase the interoperability and interaction of processes, mechanisms and skills within their respective disaster management sectors. As a result of Japan’s deep experience in managing and responding to large-scale natural disaster within its borders, JAIF has allowed the AHA Centre to tap into some of the most extensive knowledge and resources in the world, while allowing Japan’s access to regional knowledge and contacts, and the opportunity to further engage with its closest neighbours. “As a Dialogue Partner, Japan actively cooperates and takes initiatives to strengthen cooperation on disaster management in the ASEAN region. Since its establishment in year 2011, the JAIF Management Team (JMT) has been closely working with the AHA Centre to conceptualise and formulate project proposals and implement significant and successful projects in support of fulfilling the AHA Centre’s mandate. For JMT, the collaboration with the AHA Centre only makes JAIF supported projects in disaster management better and more aligned with the needs of the region,” said Zin Aung Swe – the Programme Coordinator of JAIF Management Team. 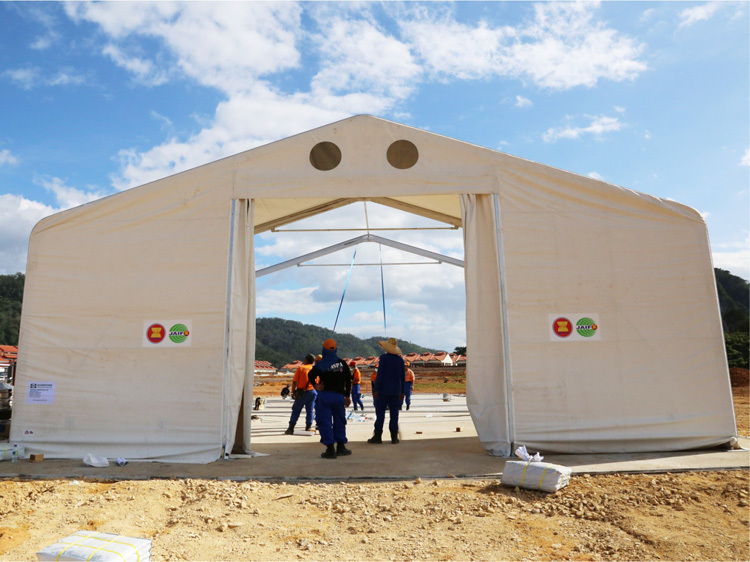 Historically, JAIF has been one of the key support mechanisms for a range of ASEAN disaster management functions – in particular elements such as the Disaster Emergency Logistic System for ASEAN (DELSA) and the AHA Centre Executive (ACE) Programme – throughout the AHA Centre’s first six years of existence. 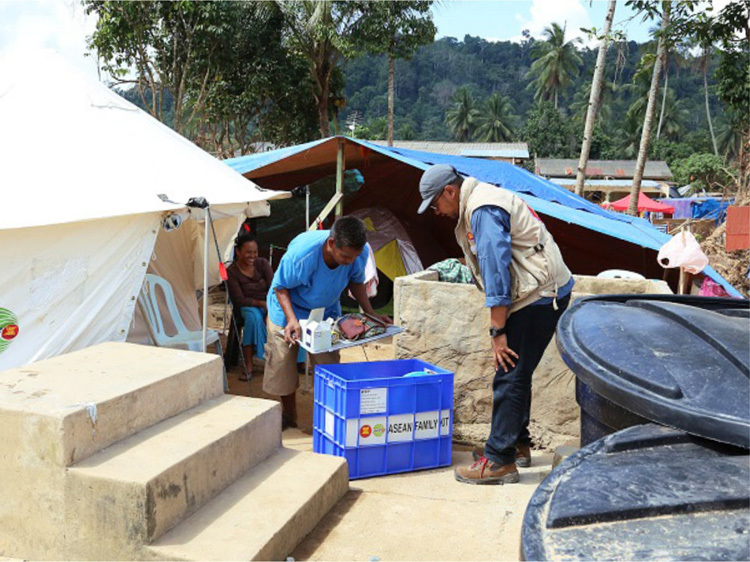 The finance, skills and knowledge provided through these original programmes helped ensure longevity and stability of disaster management resources for the ASEAN region. Due to such success in the implementation of these programmes during the AHA Centre’s first six years, trust and support between the Government of Japan and the AHA Centre has been evidenced through the recent approval of a second phase of the DELSA. Alongside this, JAIF has agreed to continue its outstanding support for the annual AHA Centre Executive Programme, which will continue to prepare future leaders of disaster management in the ASEAN region, as well as fourth phase of the Information and Communications (ICT) project for the AHA Centre. These three abovementioned projects are planned to continue until the year 2020. Meanwhile, the AHA Centre is also implementing the ASEAN-ERAT Transformation Project, being implemented between 25 November 2016 until 2019. Since its establishment in November 2011, the AHA Centre has benefitted from over USD 33 million for a range of projects, with over USD 7 million currently designated to projects in the pipeline, seeing the Government of Japan – through JAIF – forms the largest contributor to the AHA Centre’s programmes thus far.